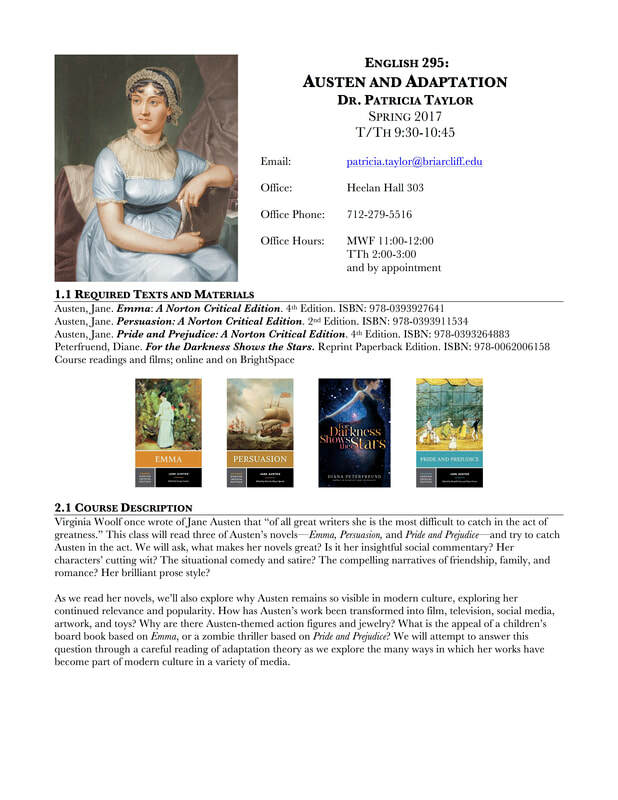 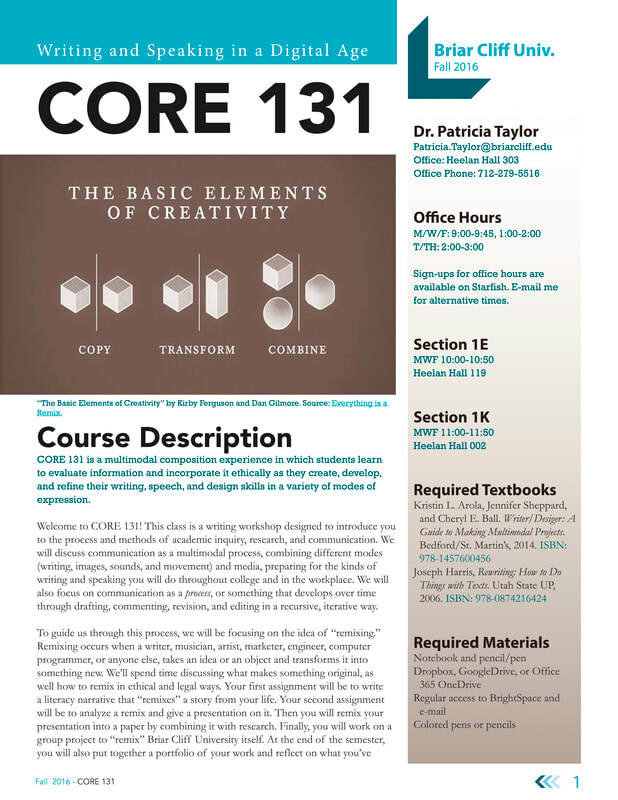 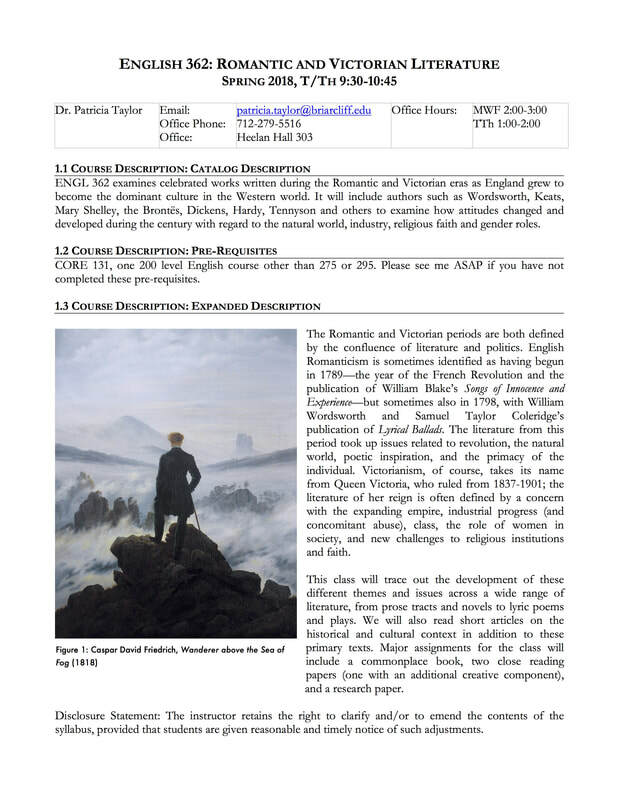 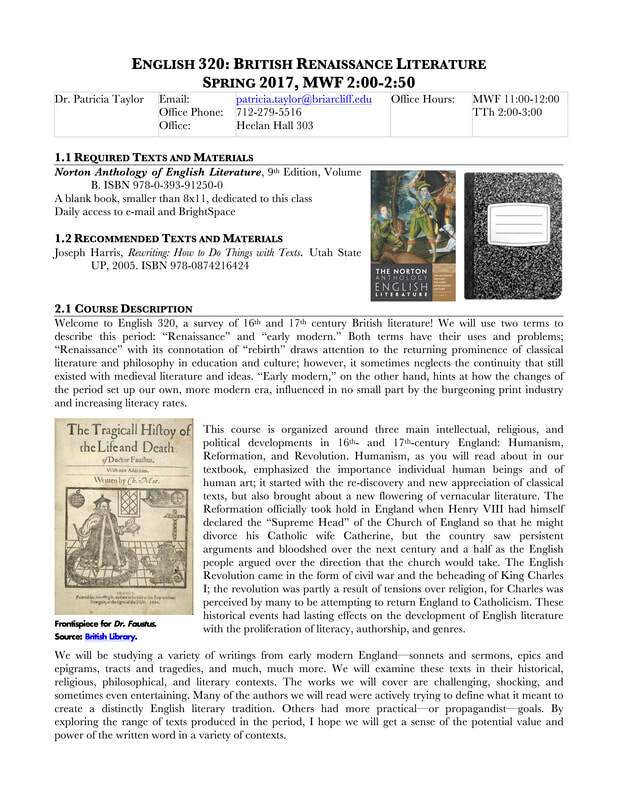 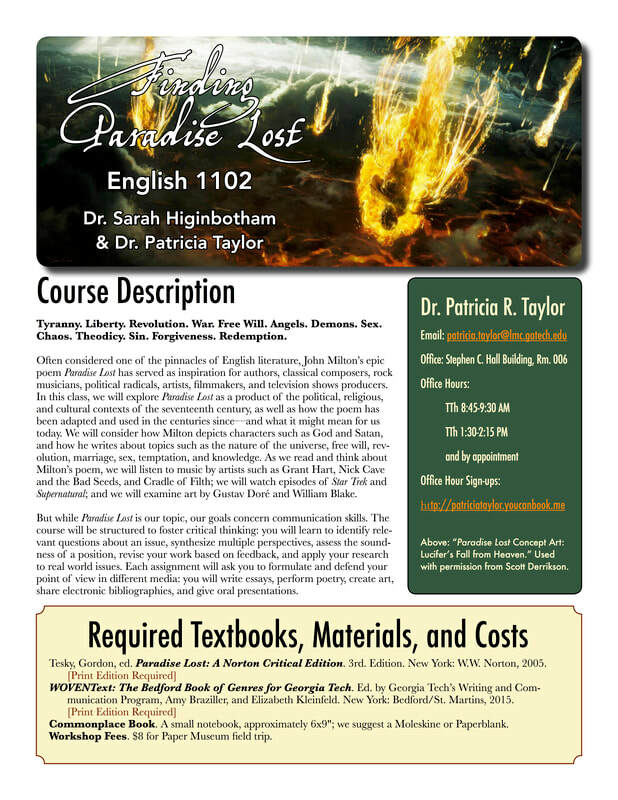 I design each syllabus as a window into my classroom, revealing not only the policies and procedures required for students to successfully navigate the course, but also some of the visual inspiration for the course that may in turn inspire students' critical and creative work. 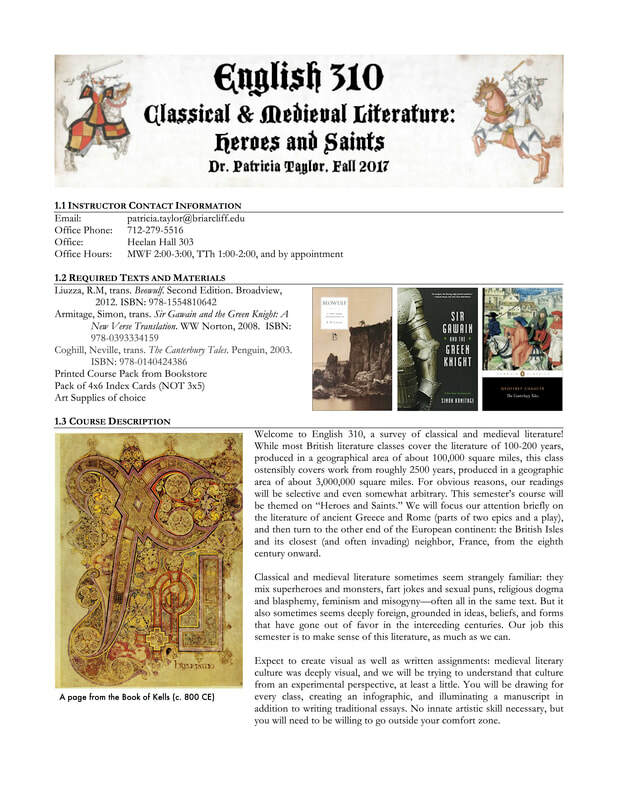 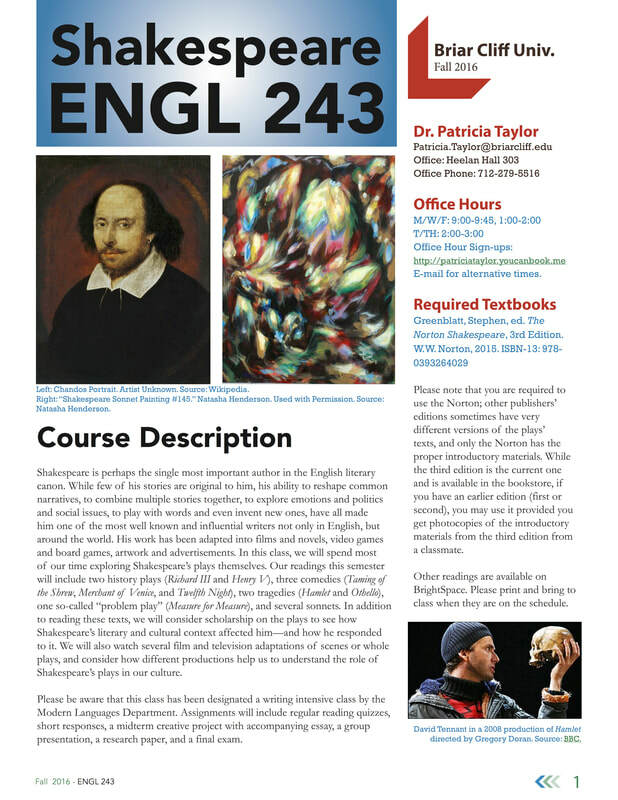 My Shakespeare syllabus, for example, includes artwork inspired by the sonnets, screen shots of film performances, and historical maps of Shakespeare's London. 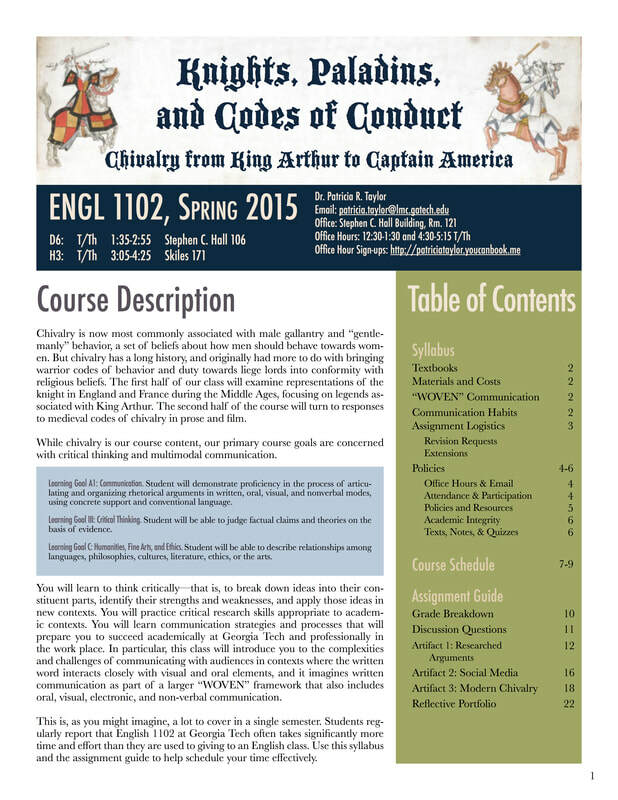 By including images like these, I create a document we can return to almost every class. 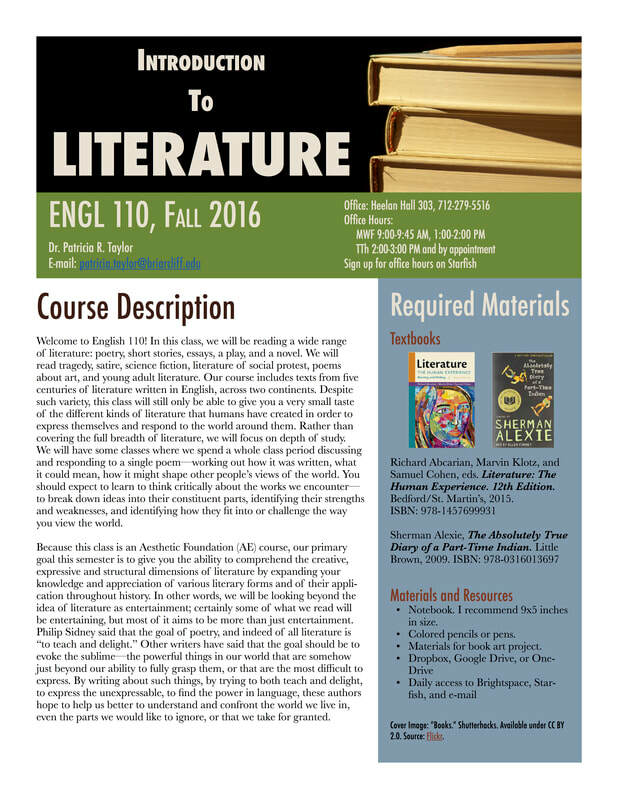 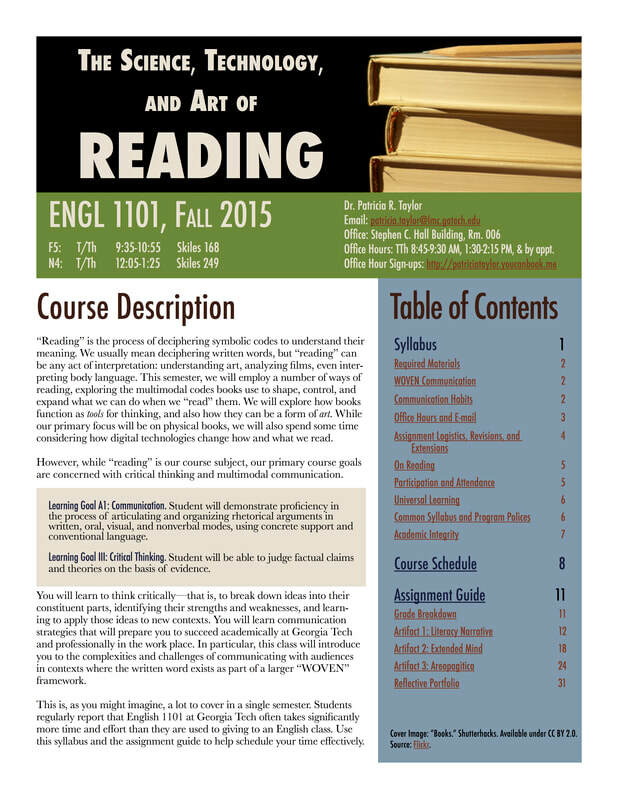 The work I expect of students is included as part of the "assignment guide" at the end of most syllabi, usually with detailed scaffolding.